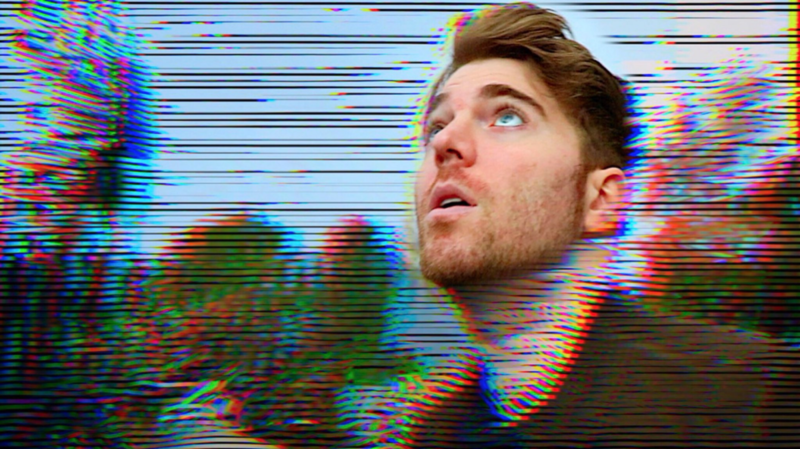 Shane Dawson has returned to YouTube and this time, he’s armed with a number of conspiracy theories to take the internet by storm. Following a break from YouTube after the success of his series The Mind of Jake Paul, Dawson has come back with a splash. He delves into the creepy, unsettling world of conspiracy theories including subliminal messaging in children’s media and marketing, deep fakes, smartphone surveillance, and even the recent California wildfires. Part one of the new series was uploaded on January 30 and clocks in at one hour and 44 minutes long. The series is a return to the conspiracy-centric videos that propelled Dawson back into YouTube relevance in 2015, with some of his previous conspiracy theory videos obtaining anywhere from 10 to 20 million views each. The hype surrounding the new series has been huge—the trailer for the series received eight million views within the week leading up to the release. True to the format of Dawson’s prior conspiracy videos, this new video is filled with creepy, dramatic editing, clips of flickering televisions playing videos of strange occurrences, various news and media clips, and a plethora of audio effects and music typical of horror films. The editing does a great job of setting the mood for the video, even when what’s being shown on screen isn’t particularly scary. The tension throughout the video is continually cut by clips of Dawson and his friends—fellow YouTubers Ryland Adams, Morgan Adams, Andrew Siwicki, and Garrett Watts—cracking jokes and freaking each other out. As Dawson narrates and explains the different conspiracy theories, clips of him and his friends testing out the theories are spliced in. These scenes serve as an amusing look behind the curtain and give the video a more relatable aspect. By the end of the video, I can’t say I came away from it feeling convinced by any of the theories Dawson touches on. Sure, it was entertaining but that’s about it. The over-the-top, dramatic audio and visual editing adds an element of tension and suspense, yet the actual content itself lacks depth and direction. Theories are mentioned, semi-relevant clips are flashed as Dawson speaks, he muses on the theories with his friends and talks about how crazy the ideas are, and then he moves on. Nothing feels fully fleshed-out or concluded, which left me feeling unsatisfied after the video ended. While the video is almost two hours long, it feels like a lot of the content Dawson discusses is just regurgitated internet lore found on the discussion boards of Reddit. If he really intended to dive in deep on the conspiracy theories discussed, he could’ve parsed away half of the theories mentioned, giving himself more time to get in deeper and offer something unique. Dawson states in the first episode that there will be six parts in his conspiracy series, and he has revealed that he expects part two will be just as long as the first. I’ll give part two a try for its potential entertainment value, but I have a feeling I’ll be left wanting more again. The editing carries the first part of the series. While it certainly adds intensity and tension, there will inevitably come a point where I’ll get sick of the editing due to the lack of substantial content present to back up the overdramatic ambience. When that point comes, I think it will officially be time for me to tune out of Shane Dawson’s conspiracy theory series for good.